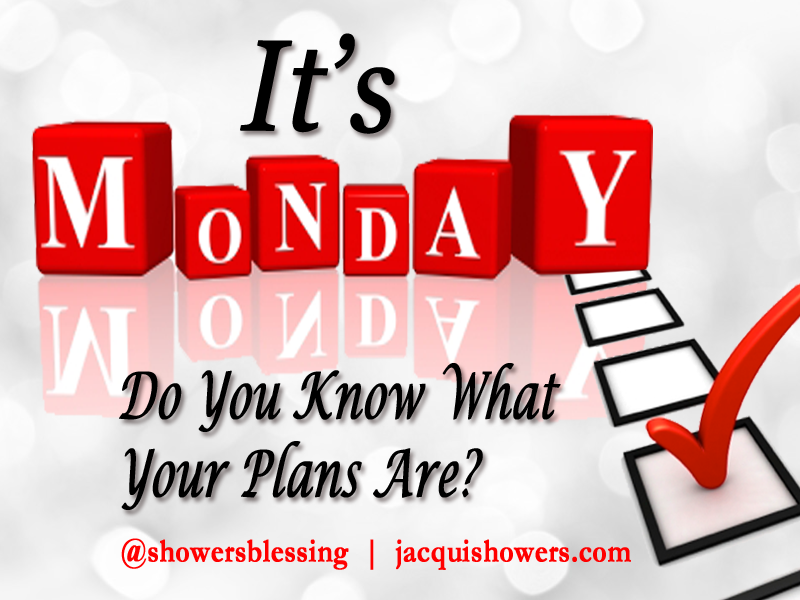 Monday is always a great time to make a successful plan of action for your week. Planning enables you to determine each day’s success. If you don’t take this time to assess your week, plan each day and then execute the plan, at the end of the week you will have come up short. Develop a daily plan of action that guides you progressively through the week. At the end of the week, you will have accomplished what you set out to do. Stay on course. Don’t give up! You’re doing well. You’re being successful. Stick to the plan. Your success depends on it. Now enjoy it! I would love to hear what you do to ensure that you have a successful week. Do you make a plan? Do you write it down? Or do you formulate it in your head? Either way, do you stick to it?